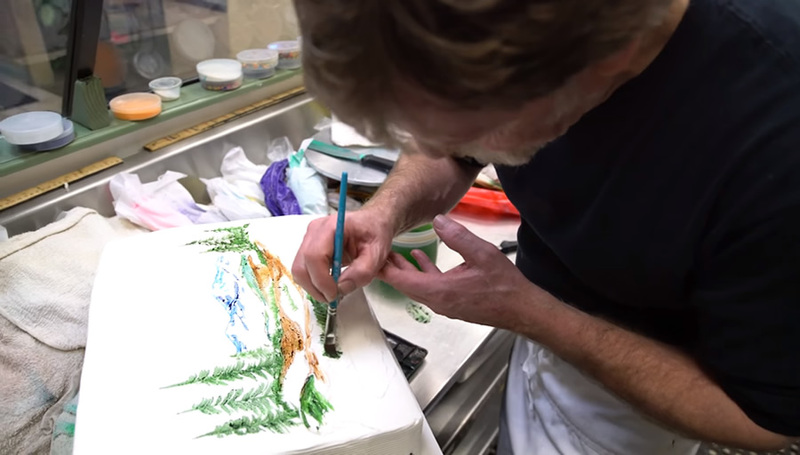 In this screengrab from video, Jack Phillips works on a cake at his bakery, Masterpiece Cakeshop, in Colorado. We’ve long known that the “tolerance” police don’t merely want equal rights and to be treated with civility. They require that you honor their ideas as superior, reject your own contrary ideas and do penance for ever having held your own ideas. If you make the mistake of dissenting from their dogma, you must be shamed — and punished. There is no semblance of tolerance in their bones. They are militantly aggressive and spoiling for any opportunity to pressure and intimidate people into submission. This suppression of our liberties doesn’t just emanate from the government; the long arm of the private sector often enforces uniformity of thought with the same coercive power. Let me give you just a few examples of probably hundreds, perhaps thousands. Do you remember Jack Phillips, the poor Christian owner of Masterpiece Cakeshop in Colorado, the baker who refused to make a wedding cake for a gay couple because it would have violated his religious convictions? He didn’t deny them service, mind you, but would not bow to their demand that he prepare a cake to celebrate their wedding. The complaining couple weren’t being harmed. They could have gone anywhere else to purchase a custom-made wedding cake. But they refused to allow this baker to exercise his religious liberty. This surely was a deliberate targeting of a Christian baker to force him to conform to their values and thought edicts. Though the Supreme Court held that the Colorado Civil Rights Commission had violated Phillips’ First Amendment liberties, he is being harassed again — this time by Denver attorney Autumn Scardina, for refusing to bake a custom-ordered cake to celebrate her transition from male to female. The commission has predictably ruled that Phillips was guilty of discrimination. Are you kidding me? Again, Phillips is being targeted. His attorneys aptly describe it as an “obvious setup.” Christian liberties must be subordinated to bizarre leftist ethical standards. We’ll see how this nightmare unfolds in the coming months. But Hart’s public repentance, apology and stepping down from the gig weren’t enough. There would be no forgiveness, even for a sincere apology. What “work” would Miller have Hart do to earn his redemption? Miller suggested he could have donated money to LGBTQ organizations or requested an LGBTQ-identifying co-host (or even host) for the Academy. As I said, get him down and kick him, and then neuter him. How dare dissenters from the totalitarian leftist orthodoxy think they can atone for past sins just by apologizing and demanding equal rights for everyone. They must also renounce any residual beliefs that might offend the activists. This is leftist tolerance, forgiveness and compassion. We hear a lot of demands from a lot of groups in this country, but one ideal that is rarely touted anymore is America’s foremost founding idea — liberty. Increasingly, the modern left is gobbling up the liberties — speech, association, religion, firearms, due process — of anyone who doesn’t embrace its worldview, and liberty lovers everywhere had better wake up to this threat and do a much better job of fighting back. Please, Let’s everyone pray against the demonic stronghold of the homosexual agenda. That principality must be bound. May God wrap it up in chains, bind it with steel, shackle it’s feet and hands, punch it’s head or whatever. Pray to a take down, in the name of Jesus Christ. I believe this is the start of the rot of our humanity, bringing society back to the days of Noah. It will only get worse. But we have God on our side. Who can overcome us? What can man do to us? Excellent article. I hope the pendulum starts swinging back soon because it’s starting to smell like Russian gulags with leftists tell us how to think. America needs to remember we’re the land of the free and home of the brave. The side that preaches of tolerance and diversity is only satisfied when their views and beliefs are agreed with. Their tolerance is more like Gestapo tactics than anything. Unfortunately, religion and the right to life of unborn babies are not included in their doctrine. 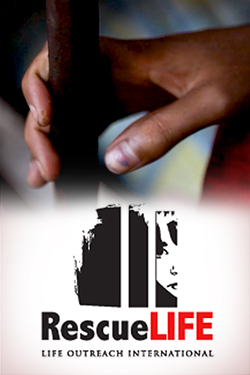 It isn’t as cut and dry because there is some on the left who believe in silencing people . These people truly are afflicted with a kind of blindness. They cannot see why someone would hold any differing beliefs on things they see as “right”. It’s not even a question of ‘maybe’ – you’re just plain wrong – or evil – if you disagree. And don’t even begin to talk to these folks about your vision of “right”. You will either be dismissed outright or called all sorts of vile things. I mean, how could anyone be so close-minded and -phobic (pick whatever you want, there’s tons of them). I truly feel sorry for these people. At least the ones I know. And I pray that someday they will hear that ‘small, still voice’ that calls to us all. Very well written! It’s as if I wrote it myself because these are EXACTLY my thoughts! Bravo! One mistake: Autumn is still a man and you identified him as female in your wording.